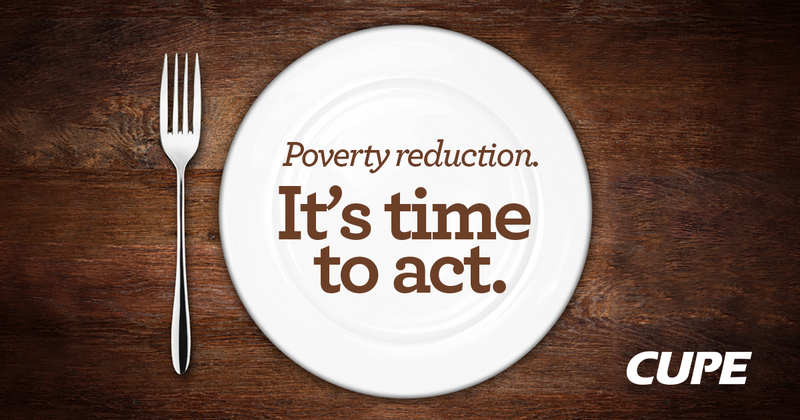 On the International Day for the Eradication of Poverty, CUPE is calling on the federal government to implement a robust poverty reduction strategy to ensure that no one is left behind. CUPE’s recommendations highlight the need for a plan that has concrete goals, measurable targets and a clear timeline. Programs to assist the vulnerable such as childcare, healthcare and post-secondary education should be expanded and should remain publicly-funded. “A step toward reducing poverty in Canada would involve the creation of a universal, public and non-profit, high quality, affordable childcare program,” said Charles Fleury, CUPE National Secretary-Treasurer. CUPE believes that eliminating poverty and reducing inequality should be a priority in building a more prosperous, equitable and sustainable country. We look forward to working with the federal government to implement a robust, concrete anti-poverty strategy that will make an enormous difference in the lives of millions of Canadians.